Some day in the past, I have considered myself a man of strict perseverance and discipline. That has changed with the passing years. Today, to trace an objective and to stick to it is pretty much a lost battle. Somewhere, I left an important part of my character, and that has made all the difference. I know where it was, but this is a story for another day. What matters here is that I need to regain my self-respect. And to do that, believe me when I say it is much harder to turn on my computer every day and write my new history, than to open my way through a favela by punches, bombs, and bullets. This is my commitment here — and the dread is unrivalled by any combat situation. Yet I have a strategy. It’s simultaneously simple and complex, easy and (very) hard. 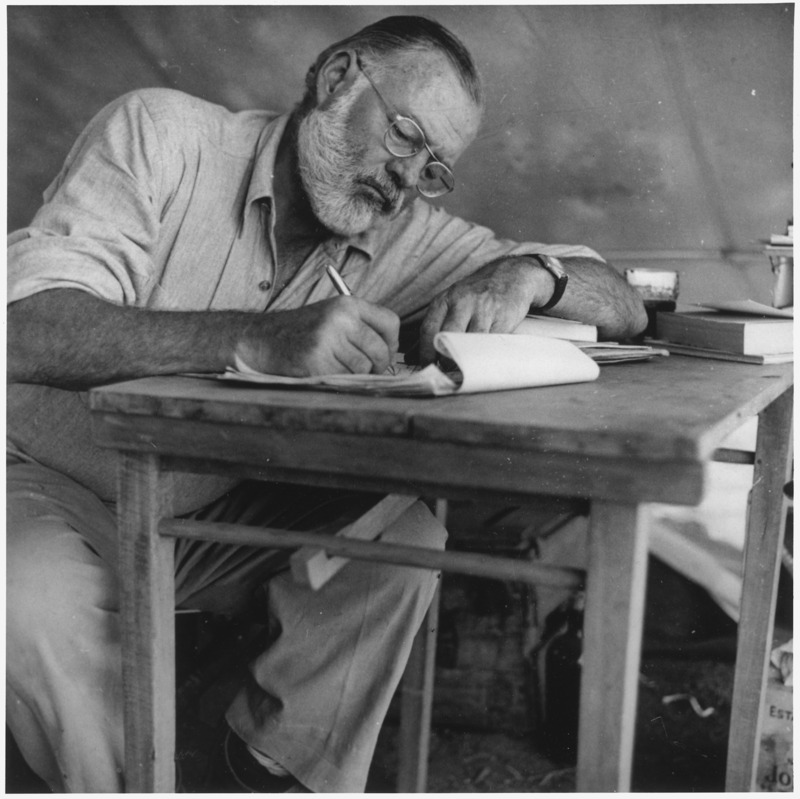 They say Hemingway wrote at least five hundred words a day, rain or shine, EVERY day. Of course, I don’t mean here five hundred publication-quality words — much less, Hemingway-quality — just five hundred words, be them about history, philosophy, combat stories, ramblings, criticisms, or just me letting off some steam. The important here is the amount of words and the frequency. Five hundred words. Every day. For that, I have to win much more than procrastination; I have to win my paralysing perfectionism. Every day means not procrastinating, it means showing up daily for work like any professional. Statistically, I would say it’s impossible for me. If I could I would wager against it, certain of making a buck. But if it weren’t like this, it wouldn’t be a decent New Year’s resolution. I’ll write every day, be it Saturday or Sunday, a holiday, or a busy day at police. That’s the idea. That’s 365 * 500 words = 182,500 words. Just as hard will be the part concerning the five hundred words. Not because that’s too much or too little, but because that’s exactly five hundred words, not more, not less. To write less is to fall short of the purpose; to write more is to prepare for failure. If I let myself write at ease, I’ll try to make it perfect; I’ll demand too much from myself (as always) and fail (as always). “The great is enemy of the good” could be my mantra. I need to stick to the good, the minimally reasonable, if need be. Besides, five hundred words foster discipline and the power of synthesis, that capacity for conceptual integration so defining of man as such. There is liberation in the act of restricting ourselves. “Through self-discipline comes freedom”, Aristotle supposedly said. My limits are self-imposed; if I can’t respect them, then I don’t respect myself — better go look for a shrink instead of writing so much. 1. Figure captions and footnotes such as this one don’t go into the 500-word count. There is no reason to avoid such flexibility.